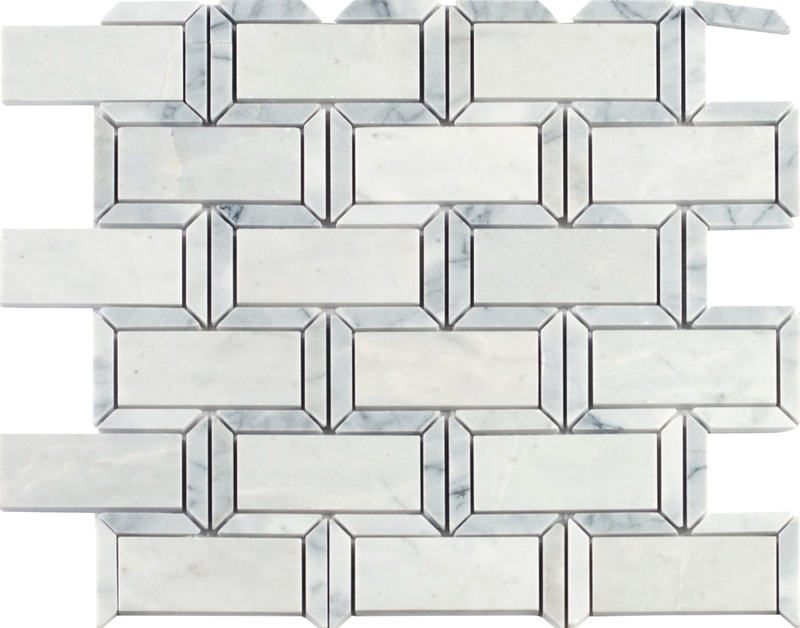 This Mosaic Wall Tile has a soft white color with gray veining and a smooth, polished finish. The Framework Polished Marble Mesh-Mounted Mosaic Wall Tile has a soft white color with gray veining and a smooth, polished finish. The 2 in. x 4 in. brick pieces are fashioned with beveled edges on 12 in. x 13.19 in. x 0.38 in. mesh sheet to add definition to any residential or commercial expanse, certain to infuse your space with visual allure. Boasting random tone variations for extra character, they look particularly stunning as kitchen backsplash or tub/shower surround and also perform splendidly as an accent panel or countertop surface.